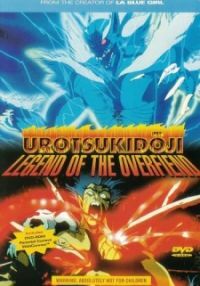 Urotsukidoji: Legend of the Overfiend 5 out of 5 based on 1 ratings. 1 user reviews. Legend has it that the human race is not the only dominant civilization living on Earth. Two other races exist in this world: the Makai (a demon race) and the Juujinkai (a half-man, half-beast race). Once every 3,000 years, a supreme being known as the “Choujin” (Overfiend) will emerge and bring balance to all three realms on Earth. In present-day Japan, after 300 years of endless searching, a Jujinkai named Amano Jyaku has discovered the presence of the Choujin inside high school slacker Tatsuo Nagumo. But now, Amanoâ€”along with his sister Megumi and their sidekick Kurokoâ€”must protect Nagumo and his new girlfriend Akemi Ito from the Makai, who believe that Nagumo is not the Choujin, but an evil entity bent on destroying all living beings on Earth.